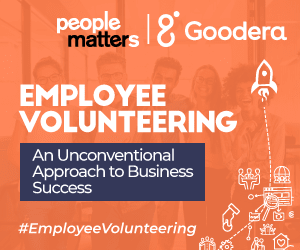 In a panel discussion hosted by People Matters and Goodera, HR leaders addressed the key drivers to engage not only the millennial generation but also retain them. In the next two years, half of the workforce will be made up of the millennial generation. This generation has changed and influenced almost all aspects of the world-politics, media, communication, and business. This generation is continuously marching towards change while driving growth for organizations around the world. Millennials have entirely influenced the way businesses to innovate, market and engage with customers. 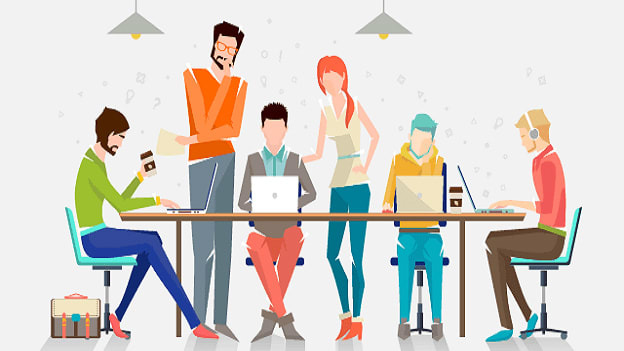 However, according to a study by Gallup, only 29 percent of the millennials are engaged in the workplace, and 60 percent are open to new opportunities. Hence, it is paramount that companies should start reflecting on their approach to engaging and retaining this generation. How are millennials different from their previous generation? Dimple Jha, Director Hiring, Sapient Razorfish, shared that the factor that separates Gen X and millennials is the exposure to technology, which lead them to a great start causing significant challenges for organizations. Millennials do not work as per basics, whereas Gen X worked for basics. They want to understand the real issue and what needs to change. Millennials appreciate and work for organizations that function as social enterprises and businesses that do not operate just for profitability towards C-suite executives and stakeholders. Abhishek Humbad, Founder of Goodera, shared, “Millennials have access to a lot of data, they want mission and impact from their work, and their values are different from Gen X. They believe in credibility and credibility comes from how they contribute to the society.” Active engagement across systems, not following a single path and accessing different aspects of succeeding are the critical drivers for millennials. Learning from mentors and experienced professionals to seek purpose and wanting to be an essential part of an organization creates the impact in attracting and retaining the new task force. Millennials look for respect, culture and the right environment where the managers groom employees. They stick around such organizations. Millennials is a generation that believes in constant learning and development that is fast-paced. They believe in the betterment of humanity and helping the underprivileged. For millennials, it is essential that an organization respects their choices and resonates with their passion and enthusiasm. Amit Vaish, Director & Head HR, Barclays Technology stated, "Millennials have a tremendous amount of choice, and if the organization can offer personalized choices based on preference and skills, there can be a vast impact in attracting and retaining millennials." Mayukh's explanation included all the three aspects that companies try to attract, engage and retain. He said, "HR professionals must keep track of how effective their development programmes are and constantly keep updating and innovating programs. They are sales executives for employees and preferences are changing faster than before, making it more critical to be up-to-date and constantly innovate to attract new talent. Abhishek shared, “Millennials follow a religion called humanity and volunteering helps bring out the best in all employees. Most of the millennials think about outcomes when a company offsite is planned and do not participate considering there is no impact to society's well-being. However, while volunteering, they achieve and view the results immediately and participate proactively for the greater good of society and feel a sense of pride towards themselves." Millennials look for respect, culture and the right environment where the managers groom employees, and they stick around such organizations.